Hung Gar is characterized by low, wide stances that develop strong legs and solid balance. The movements are direct and close to the body. They can transmit considerable force when they connect with an opponent. Each of the Animal Styles or Forms, utilize different exercises for physical conditioning. For example, Dragon represents spiritual development. Snake movements develop internal power and is concerned with “pin-point” hitting accuracy of vital nerve organs. Tiger has exercises to strengthen the bones and to develop pure strength. Leopard concentrates on developing speed and agility. Crane basically exercises to strengthen the sinews, to build up flexibility and to develop balance. All of these Five Animal Styles are inter-related to represent a total system of Hung Gar Kung-Fu. The system offers a variety of fist techniques for self defence as well as offense. 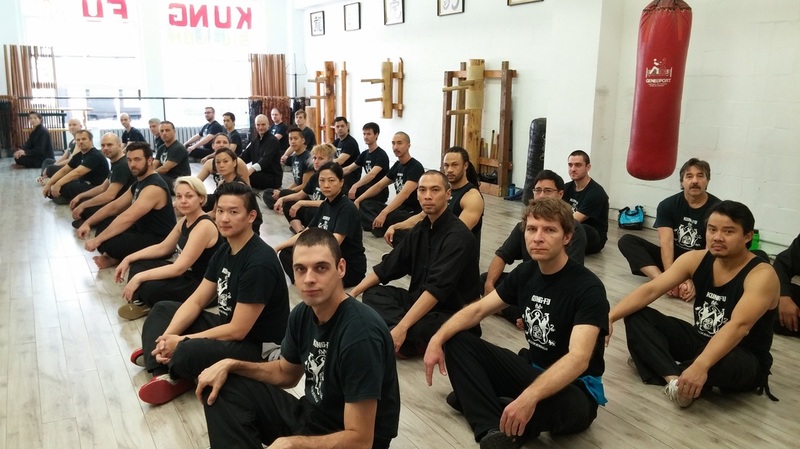 Training in the Hung Gar Style builds up a student’s strength in the arms and legs, and raises the level of internal energy (or CHI) by means of intense stance training and breathing exercises. Through the stance training, we also learn to focus on different parts of the body in order to attain balance, internal and external strength, relaxation of mind, and coordination of body movements.